From the internationally bestselling author of "Nefertiti "and "Cleopatra's Daughter "comes the breathtaking story of Queen Lakshmi--India's Joan of Arc--who against all odds defied the mighty British invasion to defend her beloved kingdom. 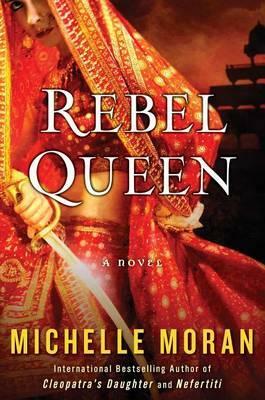 Told from the unexpected perspective of Sita--Queen Lakshmi's most favored companion and most trusted soldier in the all-female army--"Rebel Queen "shines a light on a time and place rarely explored in historical fiction. In the tradition of her bestselling novel, "Nefertiti," " "and through her strong, independent heroines fighting to make their way in a male dominated world, Michelle Moran brings nineteenth-century India to rich, vibrant life.